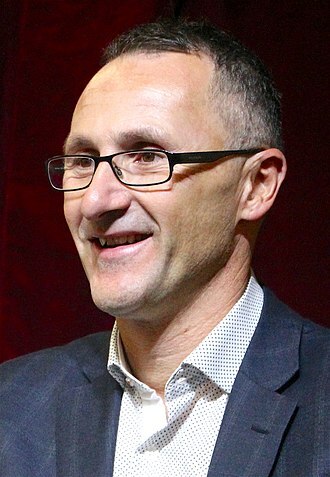 In 2016, group tickets were abolished to avoid undue influence of preference deals amongst parties that were seen as distorting election results and a form of optional preferential voting was introduced. As a result of the changes, voters may assign their preferences for parties above the line (numbering as many boxes as they wish), or individual candidates below the line, and are not required to fill all of the boxes. Both above and below the line voting now use optional preferential voting. For above the line, voters are instructed to number at least their first six preferences; however, a "savings provision" is in place to ensure that ballots will still be counted if less than six are given. For below the line, voters are required to number at least their first 12 preferences. Voters are free to continue numbering as many preferences as they like beyond the minimum number specified. Another savings provision allows ballot papers with at least 6 below the line preferences to be formal. The voting changes make it more difficult for new small parties and independent candidates to be elected to the Senate, but also allow a voter to voluntarily "exhaust" preferences - that is, to ensure their vote cannot flow to specific candidates or Parties - in the event that none of the voter's candidates preferences are elected. ^ The independent senators are Fraser Anning (Queensland) and Tim Storer (South Australia). They were declared elected by the High Court in place of Malcolm Roberts (One Nation) and Skye Kakoschke-Moore (Nick Xenophon Team), respectively. Neither sat with their original parties. Anning joined Katter's Australian Party in June 2018, but was expelled in October 2018. General Sir Peter John Cosgrove, AK, MC is a retired senior Australian Army officer and the 26th and current Governor-General of Australia. A graduate of the Royal Military College, Cosgrove fought in the Vietnam War, from 1983 to 1984, he was commander of the 1st Battalion, Royal Australian Regiment, and he served as commander of the 6th Brigade and the 1st Division. Cosgrove rose to prominence in 1999, when he served as commander of the International Force for East Timor, Cosgrove was Australias Chief of Army from 2000 to 2002, and Chief of the Defence Force from 2002 to 2005, receiving corresponding promotions to lieutenant general and general. 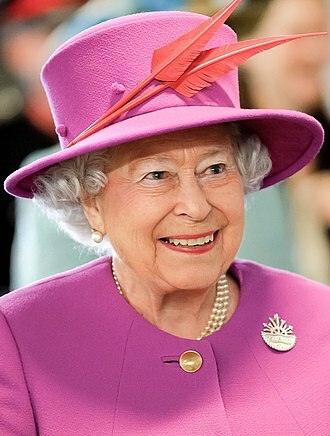 In January 2014, Cosgrove was named to succeed Dame Quentin Bryce as Governor-General of Australia and he was sworn in on 28 March 2014, and created a Knight of the Order of Australia on the same date. 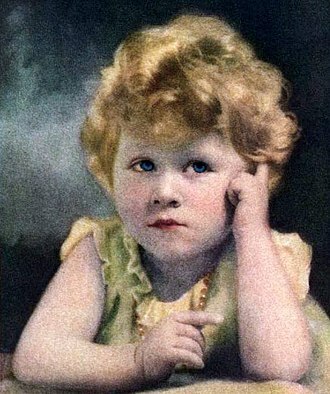 Cosgrove was born in Sydney, New South Wales, on 28 July 1947 and he was educated at Waverley College in Sydney, followed his father, a warrant officer, into the Australian Army by attending the Royal Military College, Duntroon in 1965. Lieutenant Peter Cosgrove was commissioned on 11 December 1968 and was allotted to the Royal Australian Infantry and he arrived in Vietnam on 3 August 1969 and was posted to 9th Battalion, The Royal Australian Regiment on 20 August 1969. On 10 October 1969, Lieutenant Cosgrove was commanding 5 Platoon, the platoon located an occupied bunker system in an area where, because of the proximity of allied troops, indirect fire support was difficult to obtain. In spite of this, he led his platoon in an assault on the bunkers without indirect fire support, capturing the system, on 16 October 1969,5 Platoon located another bunker system occupied by about a platoon of enemy. Lieutenant Cosgrove silently deployed his own platoon for an attack and his assault completely surprised the enemy causing them to flee, abandoning large quantities of food and documents. The following day in the bunker system a party of enemy approached his right forward section and was engaged by the sentry. Knowing that the remainder of the section was elsewhere on other tasks, Lieutenant Cosgrove ran to the contact area, as a result of his actions, two enemy were killed and three weapons and four packs containing rice were captured. He was awarded the Military Cross for these actions, in 1980 he was awarded the National Medal. 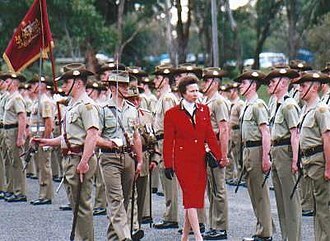 In the mid-1980s he commanded the 1st Battalion, Royal Australian Regiment, Cosgrove came to national fame in 1999 when, as a major general, he led the international forces in a peacekeeping mission to East Timor. The missions success made him one of Australias most respected and popular military leaders and he was promoted in 2000 to lieutenant general as Chief of the Army and in 2002 to general as Chief of the Defence Force. In 2004, the Foreign Minister Alexander Downer queried the judgement of Federal Police Commissioner Mick Keelty. Following a joint interview with the Defence Minister Robert Hill, Cosgrove was accused of playing politics when he said that, on this occasion, Cosgrove expressed strong support for the Police Commissioner in his Australian best selling autobiography, My Story, published in 2006. On 3 July 2005, Cosgroves three-year appointment as Chief of the Defence Force was completed, Cosgrove served on the board of Australias main airline Qantas between July 2005 and January 2014 and is on numerous other boards as chairman or member. 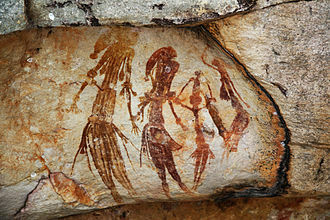 The Liberal Party of Australia is a major political party in Australia. 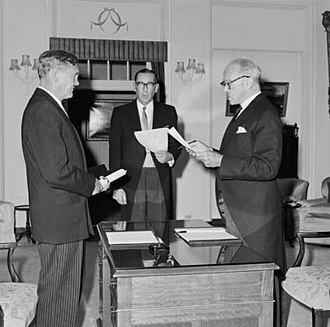 Founded in 1945 to replace the United Australia Party, the Liberal Party is one of the two parties in Australian politics, along with the Australian Labor Party. Except for a few periods, the Liberal Party and its predecessors have operated in similar coalitions since the 1920s. Internationally, the Liberal Party is affiliated to the International Democrat Union, the partys leader is Malcolm Turnbull and its deputy leader is Julie Bishop. 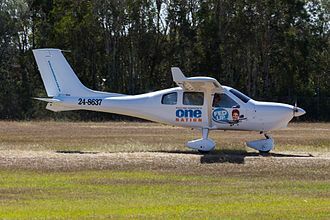 Now the Turnbull Government, the party had been elected at the 2013 federal election as the Abbott Government which took office on 18 September 2013. 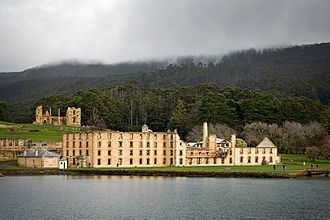 At state and territory level, the Liberal Party is in office in two states, Will Hodgman Premier of Tasmania since 2014 and Gladys Berejiklian Premier of New South Wales since 2017. The party is in opposition in the states of Victoria, Western Australia, South Australia, the partys ideology has been referred to as liberal, liberal-conservative, and classically liberal. The Liberal Party tends to promote economic liberalism and cultural liberalism, two past leaders of the party, Sir Robert Menzies and John Howard, are Australias two longest-serving Prime Ministers. The Liberal Party has spent more time in government than any other federal Australian political party, the contemporary Liberal Party generally advocates economic liberalism. Historically, the party has supported a higher degree of protectionism and interventionism than it has in recent decades. However, from its foundation the party has identified itself as an anti-socialist grouping of liberals, strong opposition to socialism and communism in Australia and abroad was one of its founding principles. The partys founder and longest-serving leader Robert Menzies envisaged that Australias middle class would form its main constituency, in the 1970s a left-wing middle class emerged that no longer voted Liberal. 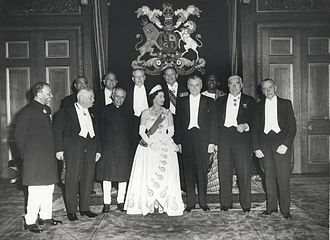 In country areas they either compete with or have a truce with the Nationals, Menzies was an ardent constitutional monarchist, who supported the Monarchy in Australia and links to the Commonwealth of Nations. 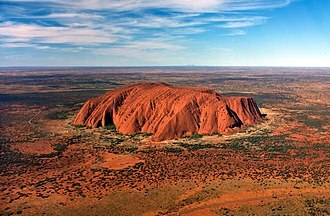 It consists of three elements, the Queen of Australia, the Senate and the House of Representatives. 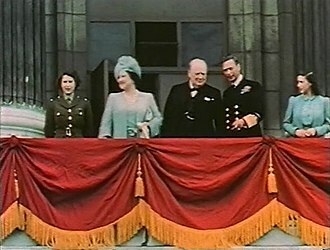 The Queen is represented by the Governor-General, through both Houses, there is a fused executive, drawn from the Westminster System. 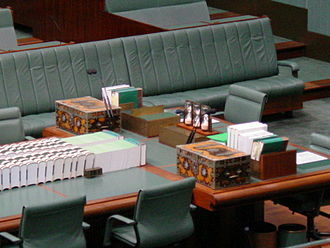 The upper house, the Senate, consists of 76 members, twelve for each state, Senators are elected using the single transferable vote proportional representation system and as a result, the chamber features a multitude of parties vying for power. The governing party or coalition rarely has a majority in the Senate and usually needs to negotiate with other parties and this tends to lead to the chamber being dominated by two major parties, the Liberal/National Coalition and the Labor Party. The government of the day must achieve the confidence of this House in order to gain and remain in power, although elections can be called early, each 3 years the full House of Representatives and half of the Senate is dissolved and goes up for reelection. 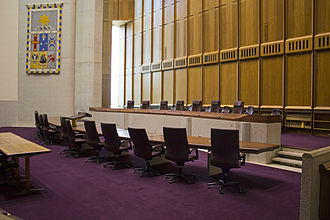 The two Houses meet in separate chambers of Parliament House on Capital Hill in Canberra, Australian Capital Territory, the Commonwealth of Australia came into being on 1 January 1901 with the federation of the six Australian colonies. 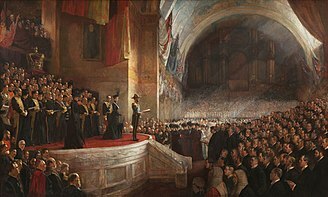 The inaugural election took place on 29 and 30 March and the first Australian Parliament was opened on 9 May 1901 in Melbourne by Prince George, Duke of Cornwall and York, King George V. The only building in Melbourne that was enough to accommodate the 14,000 guests was the western annexe of the Royal Exhibition Building. 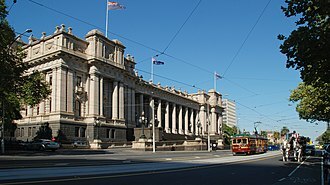 After the official opening, from 1901 to 1927, the Parliament met in Parliament House, Melbourne and it had always been intended that the national Parliament would sit in a new national capital. 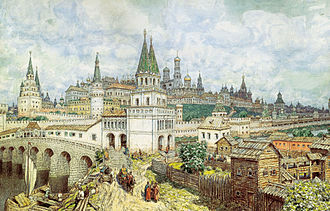 This was a compromise at Federation due to the rivalry between the two largest Australian cities and Melbourne, which wished to become the new capital. 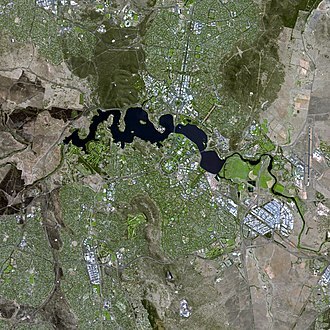 The site of Canberra was selected for the location of the capital city in 1908. 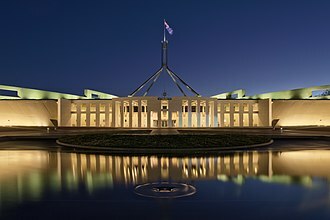 A competition was announced on 30 June 1914 to design Parliament House, due to the start of World War I the next month, the competition was cancelled. It was re-announced in August 1916, but again postponed indefinitely on 24 November 1916, in the meantime, John Smith Murdoch, the Commonwealths Chief Architect, worked on the design as part of his official duties. The President of the Australian Senate is the presiding officer of the Australian Senate, the upper house of the Parliament of Australia. The presiding officer of the house, the House of Representatives, is the Speaker. The Senate has always been an elected body. Since 7 July 2014, the President has been Stephen Parry, the Deputy President is Sue Lines. The President shall cease to hold his office if he ceases to be a senator and he may be removed from office by a vote of the Senate, or he may resign his office or his seat by writing addressed to the Governor-General. The President is elected by the Senate in a secret ballot, the President is assisted by an elected Deputy President. The traditional practice has been that the government nominates a Senator to be elected as President, neither Government nor Opposition Senators supported that candidacy. 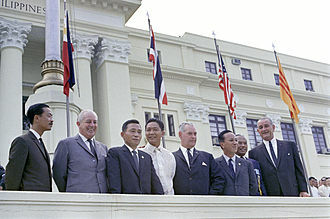 The position of President has been held by Senators representing the least populous states and territories. There have been 24 presidents of the Senate since 1901, of these 15 have come from the least populous states or the Australian Capital Territory, and 9 have come from the three most populous states.